Reagan is one of the newest models that features a home furniture style look and quality parts. It is made of solid Maple wood in America and comes equipped with high quality rods, counterweighted men, and new 3 piece bearings. 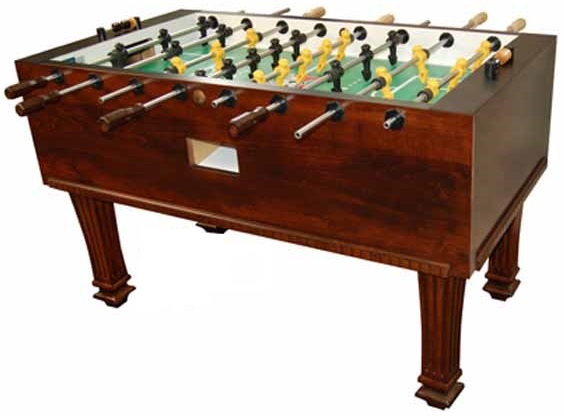 These bearings have been redesigned to make the rods easily move in and out of the table and their thin design allows the man to come closer to the edge of the table, preventing the ball from slipping between the man and the wall. The Reagan is meant to blend right into your room as it will match your home decor perfectly. This table is priced at about $2,000 US.